The White House had a difficult time last week defending some of the president’s statements. The issue: reconciling what he said happened with what actually happened. The Boy Scouts of America pushed back Wednesday on a claim from the president that the organization had called him to say his address at their annual meeting the week before was the “greatest speech that was ever made to them.” In fact, the Boy Scouts said, they didn’t believe a call like that was ever made. On Thursday, the Washington Post published a similarly contradictory transcript of the president’s January call with Australia’s prime minister. On Twitter, Trump had called the exchange “civil.” But according to the transcript, it was … not. The Post also found discrepancies in a transcript of the president’s early call with Mexico President Enrique Pena Nieto. While what the president says (or doesn’t say) continues to capture headlines, here are five important stories that deserve your attention, too. 1. 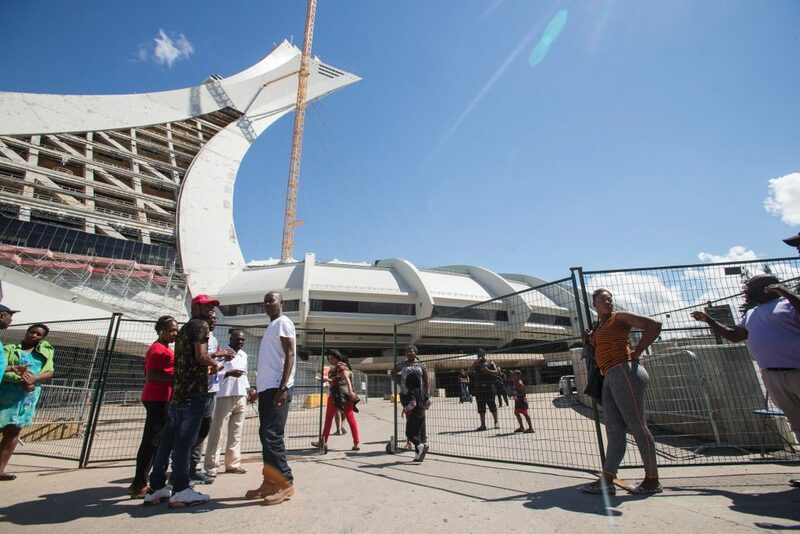 Canada is struggling to deal with asylum seekers fleeing the U.S.
Last week, officials in Montreal had to convert Olympic Stadium into a temporary shelter to house the influx of asylum seekers they’ve intercepted crossing the U.S. border into Canada. As of July, Canada has already admitted 75 percent as many asylum seekers as were admitted in 2016, and the rate of new arrivals recently jumped from about 50 per day to 150 per day, CNN reports. One hundred and fifty cots have been setup in the stadium to help house the new arrivals. Haitians who were granted asylum in the U.S. after the 2010 earthquake have been unsure of their status since President Trump signaled he’d like to end the program that grants them residence and the right to work in May. But handling the asylum seekers is a challenge for Canada as well, and the latest influx, who have to avoid crossing the border at official checkpoints to maintain their asylum status, is leading some Canadians to call for Prime Minister Justin Trudeau to review polices for refugee admittance, the New York Times reports. Immigrant communities are on edge in the U.S. after an uptick of ICE raids, deportations, and increasingly harsh rhetoric about immigration coming from the White House. Meanwhile, ICE has denied that much has changed about how they carry out deportations, despite evidence to the contrary. This uncertainty can have unexpected consequences. Earlier this year, for instance, the Los Angles police department reported that Latinos have been less likely to report sexual assaults in this new environment, due to their fears of deportation. Last week, ICE detained two brothers during a regular check-in with authorities and deported them to El Salvador. The men had been motivated to contact ICE to notify the agency of their plans to attend college, one on a scholarship. PBS NewsHour Weekend explored the trend of immigrants fleeing the U.S. into Canada in April. 2. Why are acid attacks on the rise in the UK? “I honestly feel that if this was a white person attacked by an Asian…it’d be all over the news.” Jameel Muhktar and his cousin had acid thrown in their car eight days ago – he told Assed Baig the shocking story of the incident and its aftermath. On Friday, UK police arrested four teenagers in London who were thought to be involved in acid attacks, the BBC reported. Authorities said the teens were not detained in connection to a specific incident. The arrests follow an incident in late June in which a man doused Resham Khan with acid on her 21st birthday. Khan and her cousin, Jameel Mukhtar, 37, were waiting in traffic when a man approached their vehicle and threw the corrosive substance at them. Authorities are treating the incident as a hate crime. Mukhtar, who doctors had to place in a medically-induced coma so they could treat his injuries, criticized the response from police. “I honestly feel that if this was a white person that got attacked by an Asian person, he’d be caught within 24 hours. It would be all over the news, there’s be a national manhunt,” he told Channel 4 News. Khan has been documenting her recovery (with some levity) on Twitter. Acid attacks are on the rise in the UK. According to latest figures from the Metropolitan Police, there were 261 acid attacks in 2015 and 454 in 2016, the BBC reported. This year, the number of attacks involving an attacker throwing corrosive liquid onto a victim is expected to surpass those levels. Police told The Guardian they suspect the spike in attacks is related to organized crime, pointing to a similar mode of transportation — mopeds — to carry out the attacks as one piece of evidence that they are linked to gang activity. Medical professionals are now offering guidelines on how bystanders can best treat victims in an acid attack, including washing the affected areas with lots of water. For instance, many think a bottle of water is sufficient to wash away acid, when, in fact, it can take over 10 gallons of water to properly dilute it, Dr. Johann Grundlingh says. Meanwhile, Parliament is planning to meet next week with police officials as it weighs tougher laws and sentencing around acid attacks, The Guardian reported. 3. Is the so-called “nuclear renaissance” slowing down in the U.S.? About a decade ago, South Carolina and Georgia green-lit nuclear power reactors in their states. These new reactors would be among the nation’s first additions to an aging nuclear fleet in three decades. But early last week, the V.C. Summer nuclear plant in South Carolina announced that it was halting the project, citing ballooning costs. The project’s tab was heading toward $23 billion, analysts said, nearly double its initial estimate of $14 billion. Days later, the Vogtle Electric Generating Plant in Georgia signaled similar concerns about rising costs that nearly doubled their initial estimates. While the utility company there has promised to press forward, the future looks bleak for what had once been promising nuclear reactors in the U.S. In both cases, the utility companies behind these projects cited problems beyond not being economically feasible. There were construction delays, manufacturing problems and, in particular, bankruptcy woes for the contractor connected to the nuclear project in South Carolina. And other reactors have faced problems, too. 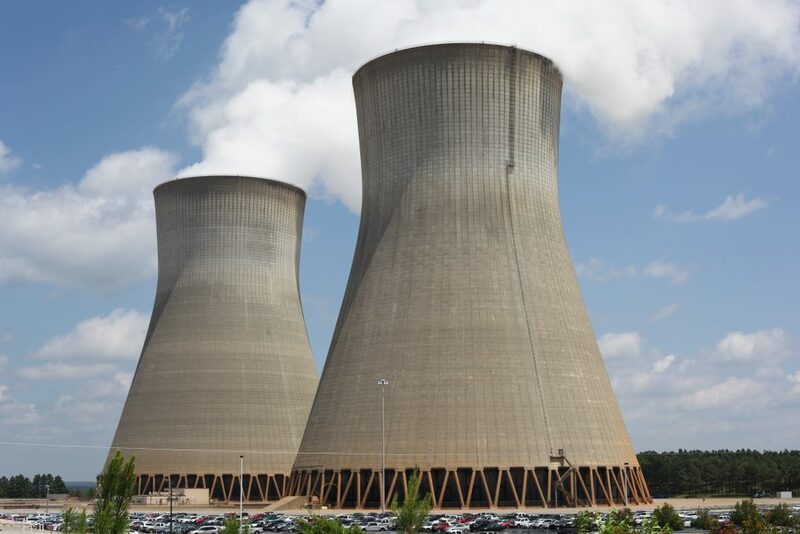 The Tennessee Valley Authority’s Watts Bar 2 nuclear power plant first became operational in 2016 and was touted as the nation’s “first new nuclear generation of the 21st century.” But it shut down five months later for a broken condenser. It only became operational again last week. “With the price of natural gas and the availability of renewable and new sources that are continuing to hit the market, nuclear is pretty much dead in this country,” Becker, a critic of the plants, told The San Diego Union Tribune. “It doesn’t surprise me at all that these plants are getting canceled,” he added. Now, with the project in South Carolina out, the Vogtle plant in Georgia could be the only new reactor under construction in the U.S.
On a conference call with analysts, the chief owner of Southern Co. emphasized the company’s resolve to finish the project, The Wall Street Journal reported. An international team of scientists tipped a long-standing debate Thursday with the discovery of an asteroid family nearly as old as the solar system. Their work uncovers how some of the first asteroids formed 4 billion years ago and point to how planets like Earth came to be. “This family is like a big missing piece of a puzzle that we found,” said Marco Delbo, a planetary scientist at the Observatoire de la Côte d’Azur in Nice, France, and the study’s lead investigator. This V formation can expose the age of an asteroid family. The longer it’s been since the initial collision, the more time smaller pieces have had to spread out into the belt. In 2012, Delbo and his team launched an asteroid belt treasure hunt to learn as much as possible about dark asteroid families in the region of the belt closest to Earth and Mars. The researchers discovered this ancient asteroid family based on its unique V shape. Beyond the edge of the newly-identified family is a void, where only a few orphan asteroids live. “This is the holy grail of the asteroids,” Delbo said, in part because they are the “original settlers” — they existed in the inner belt before anything else. These orphan asteroids are large, ranging from 21 to about 93 miles across. Their size suggests the solar system was likely formed by gravitational collapse — a recent hypothesis that posits sizable celestial bodies formed from an accumulation of space dust that gravity suddenly collapsed into large objects. In the past, people thought this space dust had aggregated over a much longer period of time. Delbo’s study provides evidence for the gravitational collapse hypothesis by suggesting the oldest asteroids started out large, and then became smaller through collisions and other destructive forces happening in the ancient solar system. Planetary scientists have been debating this hypothesis for nearly a decade. NASA’s OSIRIS-REx mission will visit the region Delbo studied when it stops at the near-Earth asteroid Bennu and collects a sample. 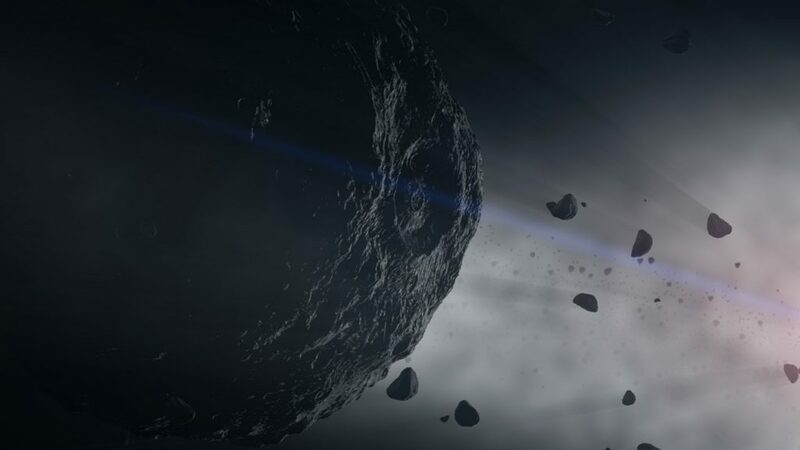 Bennu is almost certainly a member of one of these dark asteroid families, Delbo said, and could offer even more clues about the origins of the solar system. 5. Do you know what’s in your eyeliner? The FDA says it has limited resources to inspect beauty products shipped to the U.S. 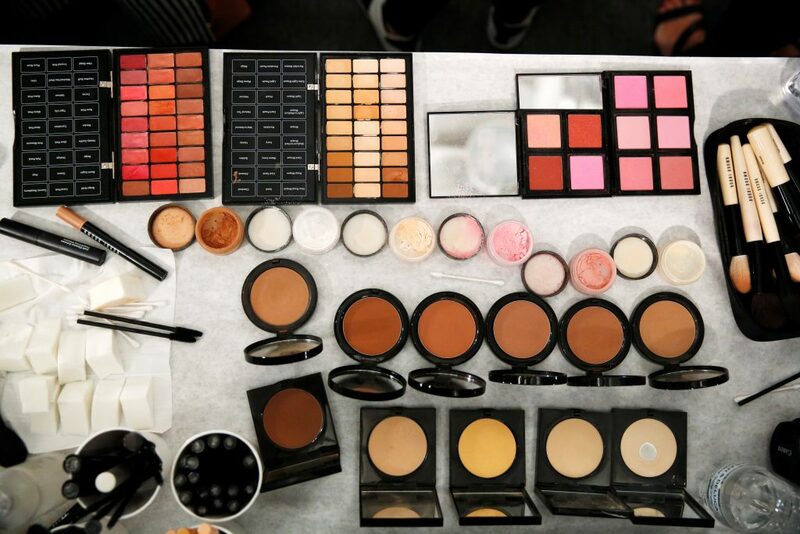 The Food and Drug Administration says it wants more thorough inspections of makeup imports. Photo by REUTERS/Lucas Jackson. At least three million cosmetic shipments make their way to the U.S. every year. Unbeknownst to many beauty enthusiasts, some of those cosmetics — including nail polish, face powders, tattoo inks, eyeliners and lipstick — contain high levels of metal or contamination from things like mercury, bacteria and asbestos. Now, the Food and Drug Administration says it wants more thorough inspections of makeup imports. But it told Congress last week that it has “limited resources” to make them happen, The New York Times reported. The FDA only has approximately six full-time inspectors to monitor the millions of shipments of product it receives each year, the Times reported. That means fewer than 1 percent of the makeup that comes into the country is examined. About 15 percent of what those employees were able to inspect was problematic, the FDA says. The letter notes that some countries have notably increased their exports to the United States in the past five years. The FDA highlights China, where exports to the U.S. have increased by 79 percent; Canada and Mexico followed with increases of 60 percent or more. But of the approximately 29,000 foreign companies the FDA says ship cosmetics to the country, few have voluntarily registered, essentially shielding them from inspection for hazardous material. Trump’s proposed 2018 FDA budget would cut spending for the testing of cosmetics imports, forcing the FDA to reduce the number of shipments inspected from 10,000 a year to about 1,600, The Times reported. 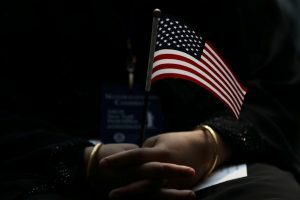 Left: An immigrant woman holds a U.S. flag during a U.S. Citizenship and Immigration Services Naturalization ceremony in the New York Public Library in New York, U.S., June 30, 2017. Photo by REUTERS/Shannon Stapleton.